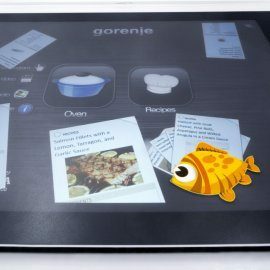 Among Gorenje's numerous novelties and innovations exhibited at the IFA fair, the interactive Microsoft Surface application, developed for Gorenje by Slovenian Company Semantika, has been a true attention magnet, drawing interest from both visitors and competition representatives. By employing the Microsoft Surface application, Gorenje is bringing the use of household appliances closer to contemporary consumers, and presenting an idea of how modern information technology can make the use of these appliances increasingly interactive, and hence simpler and more fun. At the same time, the new application is an upgrade to the company’s present work on connectivity and control of household appliances from remote locations. 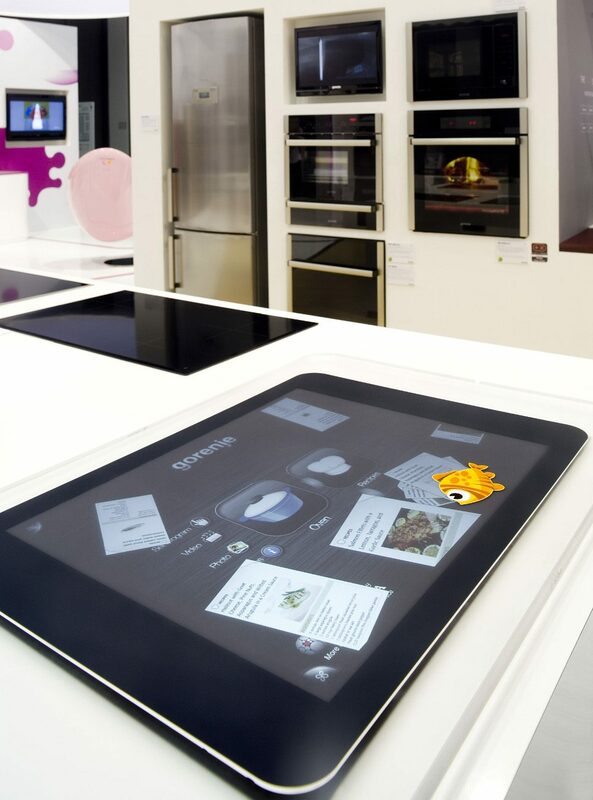 Several users can control the application in a modern and interactive manner at the same time: on the one side, we may browse through recipes, on the other side, we can monitor oven temperature or simply choose the music to match the ambiance”, commented Mr. Sašo Vinkovič of the Intelligent Home Development Department at Gorenje Point. Microsoft Surface works as a home’s new communication hub, allowing the whole family to gather around it and providing something of interest for everyone involved. Microsoft Surface is the first commercially-available surface computing platform from Microsoft. It provides effortless access to digital content through natural gestures, touch and physical objects. Today, it’s a 30-inch diagonal display in a table-like form factor that’s easy for individuals or multiple people to interact with in a way that feels familiar, just like in the real world. Surface computing enables us to move beyond the traditional user interface to a more natural way of manipulating information. Users can interact with information by touch, without using a mouse or a keyboard. Surface also brings multi-touch technology - it recognizes many points of contact simultaneously, not just from one finger like with a typical touch-screen, but up to dozens of items at once. 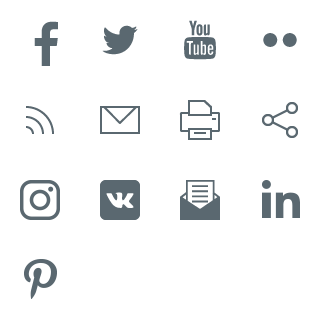 To provide additional functionality, the platform also supports object recognition. Users can place physical objects on the display to trigger different types of digital responses. In the future, this will include the ability to transfer digital content. 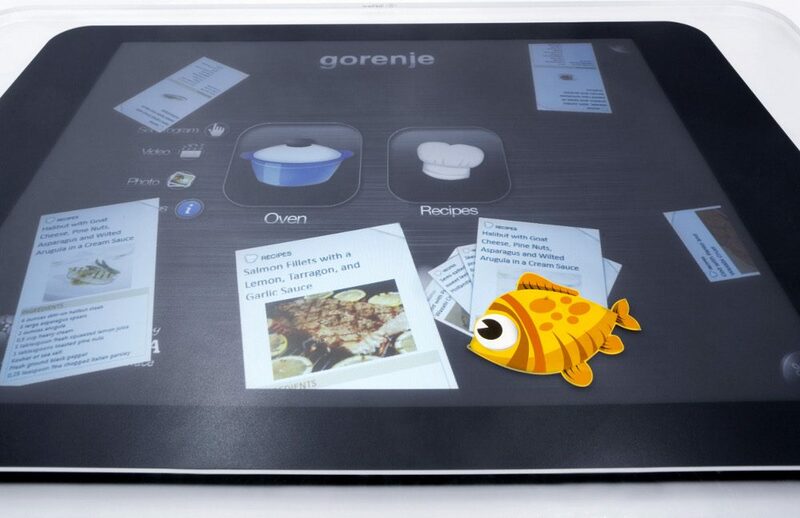 Commissioned by Gorenje, an interactive Microsoft Surface application was developed by Semantika, a Slovenian IT solutions company that has started developing Microsoft Surface applications in this year. The company's other activities include software development and their flagship product is Galis, an IT system for cultural institutions. Their services are employed by more than 40 Slovenian museums and galleries, which ranks the company in the top spot in the country. 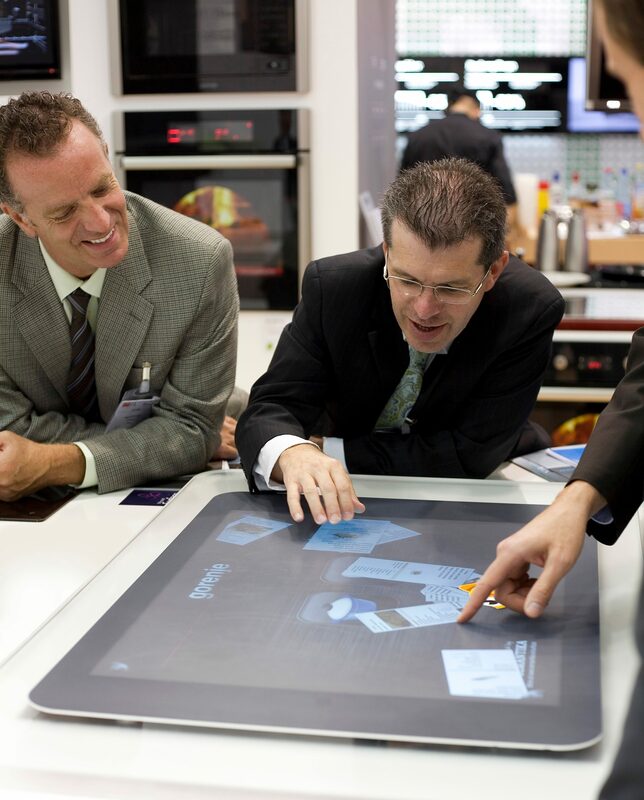 Multi-touch applications deliver simplicity of control as they respond to finger touch and natural gestures. Their major assets also include inviting appearance and visual presentation of information. 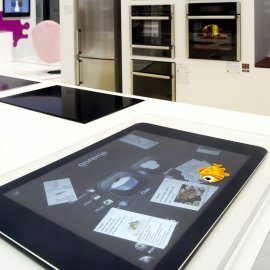 The company Semantika believes that the use of this type of appliances will spread quickly; hence, they are looking to become one of the leaders in the field of natural user interfaces and multi-touch technologies.